6 words that break the autism stigma. For every mom and dad, family member, friend, or even social worker who dedicate their lives to persons with autism or other special needs, encouraging words are never too many. Use this out-of-the-box design for printable gifts that they can use, wear or have at hand every time. 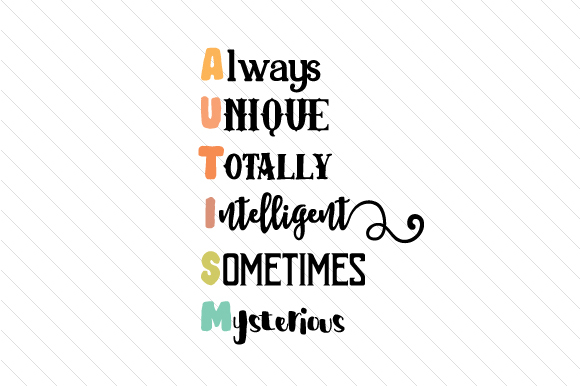 Offer them a little bit of extra motivation, remind them how special autism persons can be and how special their work as an autism caretaker really is.